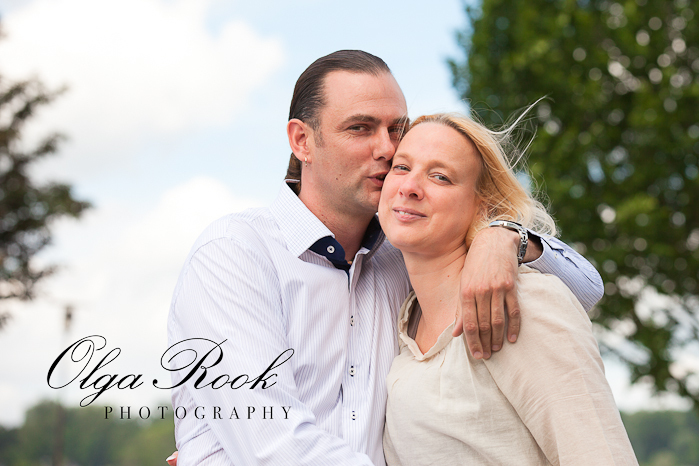 Chris and Wendy are a beautiful couple from Scheidam. They are married for five years now, but photographing them felt much like a wedding photo shoot. So joyful and romantic! It is great to photograph a couple so intensely happy, spontaneous and open. 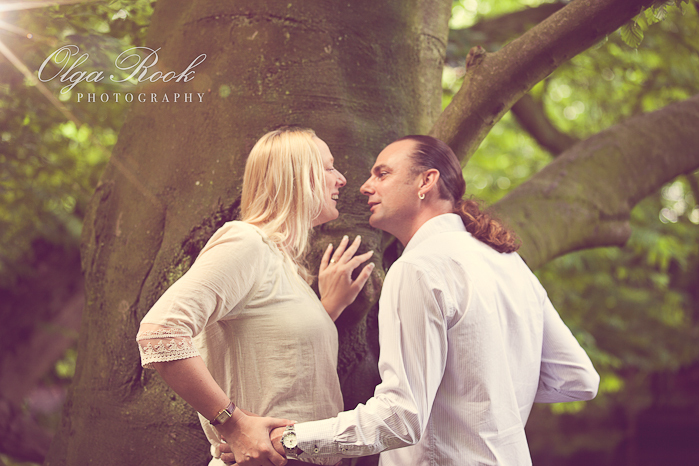 And the Kralingse bos was a wonderful setting for this photo session. Sun and fresh wind from the lake, emerald green of the trees, alleys were vibrant light breaks through the shadow – all this created a wonderful mood for a happy and romantic moment together. Thank you, Wendy and Chris. I truly enjoyed capturing this moment for you! Looking for a love shoot or “trash the dress” reportage? Find out more about my service as professional portrait photographer. This entry was posted in Portrait Photography, Couples. De foto’s zien er fantastisch uit en ik kan niet wachten om de rest ook te bekijken. Wij vonden het ook een hartstikke leuke ervaring. er komt een hele leuke reportage!